First reported cases of Treated Jade Bangles came about in the 1950s where organic dyes were used to enhance the colour of a green or lavender Jade Bracelets. Jadeite Jade is a porous mineral, the nature of the interlocking crystalline structure allow minute gaps or capillaries to absorb organic dyes. The first composites of Jadeite Jade Cabochons also appeared around the same time in the form of a triplet. Around the mid to late 1980s a new treatment method was introduced to the Chinese Jade Bangle Market, particularly in Hong Kong and Taiwan. It’s a treatment that can make low quality Jadeite Jade Bangles look like fine quality, translucent Jade Bangles. It was the introduction of Type B or Grade B Jade. It is the most common type of treatment for Jade Bangle Bracelets in the market today. Why are Jade Bangle Bracelets Treated? To answer this question we need to understand why High Quality Jade Bangles are valued so highly in the market. It’s because the supply of this fine quality jade is very limited. Millions tons of earth is turned over just to maybe find a small Vibrant apple green stone that’s translucent and fine in texture. Unlike Diamonds, which is found throughout the world, Jadeite is only found in commercial quantities in Myanmar (Burma). Understanding that the supply is limited, the demand for high quality Jade Bangles is still very high. This is where the treated Jade Bangles fill in the supply that nature can’t keep up with. To fool the unsuspecting consumers into thinking they have gotten a great deal. Figure 1. 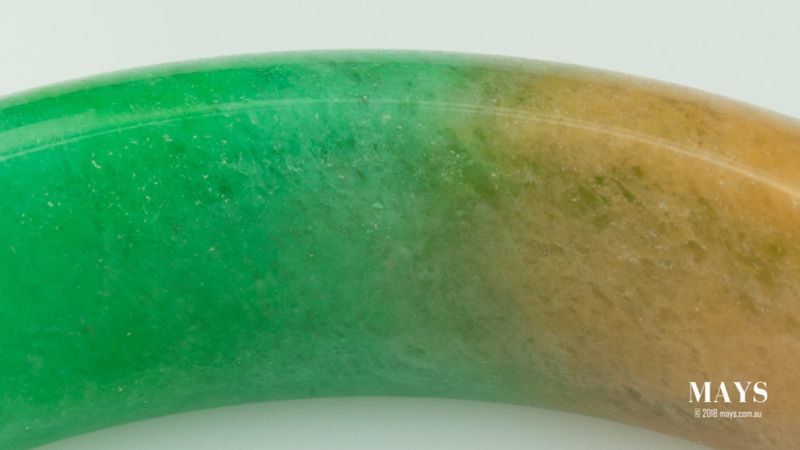 The photo shows an area of a Type B Jade Bangle where the polymer on the surface has started to degrade revealing the corrosion it once use to conceal. The Australian Competition and Consumer Commission (ACCC) has set out regulations and guidelines to protect consumers from fraudulent trade practices in the Jewellery industry. Jade Bangles that has been treated to enhance their appearance needs to be sold with full disclosure for the type of treatment it has undergone. Although these regulations are in place, many sellers and retailers locally and overseas continue to sell treated products without any disclosure. At MAYS Exotic Gems, we follow the guidelines set out by the ACCC and the Gemmological Association of Australia to disclose any gemstone treatments including Jade Bangle Bracelets which are also accompanied by our own Certificate of Guarantee. Before we even discuss about the different treatments on Jadeite Bangles, we need to ensure that it’s not an imitation or fake Jade Bangle bracelet. There are many so called Jade Bangles out there in the market that are not even Jadeite Jade but just looks like one. Some are made of Quartz while others are just plain glass. Treatments discussed in this article only apply to Jadeite Jade Bangle Bracelets. Type A or Grade A Jadeite Jade Bangles are accepted in the market as untreated, natural products even though most goes through a traditional cleaning and waxing treatment process. The treatment is recognised internationally as standard practice and does not require disclosure. Figure 2. Example laboratory report that accompanies some of our exclusive Jade Bangles to confirm that there are no treatments. The freshly carved Burmese Jade Bangles Bracelets after going through the different stages of polishing is placed into a mild acidic bath using plum juice to remove any leftover abrasives from the cutting and polishing processes. They are then soaked in paraffin wax and given a final polish with a clean cloth. Waxing helps the Jade Bangle to maintain its lustre by preventing body oils, sweat and dirt to enter its porous surface. The treatment doesn’t affect the Jade Bangle’s internal structural integrity or durability. 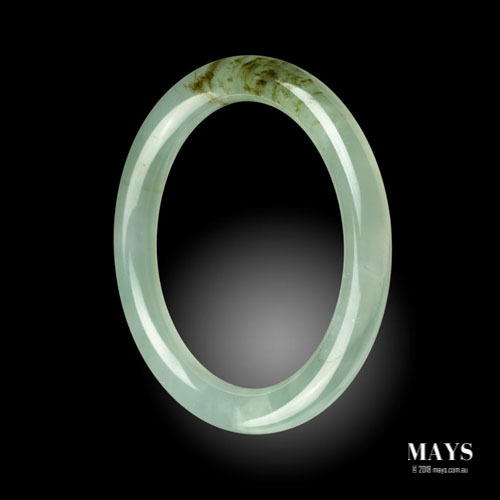 The appearance of a Type A Jade Bangle can be any combination of these 4 factors: colour, translucency, texture and flaws. They can range from opaque to near transparent and can have fine to coarse texture appearance. The colours of these bangles are generally found in varying shades of Green, White and Lavender. Rarely are they carved in yellow or red. Flaws, internal or surface reaching, are usually present on these Jade Bangle Bracelets. Figure 3. Type A Bangles in this diagram clearly shows natural flaws that strongly indicates that it's untreated. Note: Not all natural bangles will have such revealing indicators. Grade A Jade Bracelets hold or increase in their value and can also be a great investment as supply gets scarce year by year. Natural Jadeite Bangles are true heirlooms that can be passed down many generations. It’s a legacy that will last forever. Type/Grade B, treated Jade Bangle are ones that have been subjected to corrosive chemical bleaching and later impregnated with polymers. In some cases, the bleaching is so severe that it can no longer be classified as Jadeite Jade. The treatment alters the structural integrity of the Jadeite and makes the bracelet brittle. Dealers must legally disclose this type of treatment. 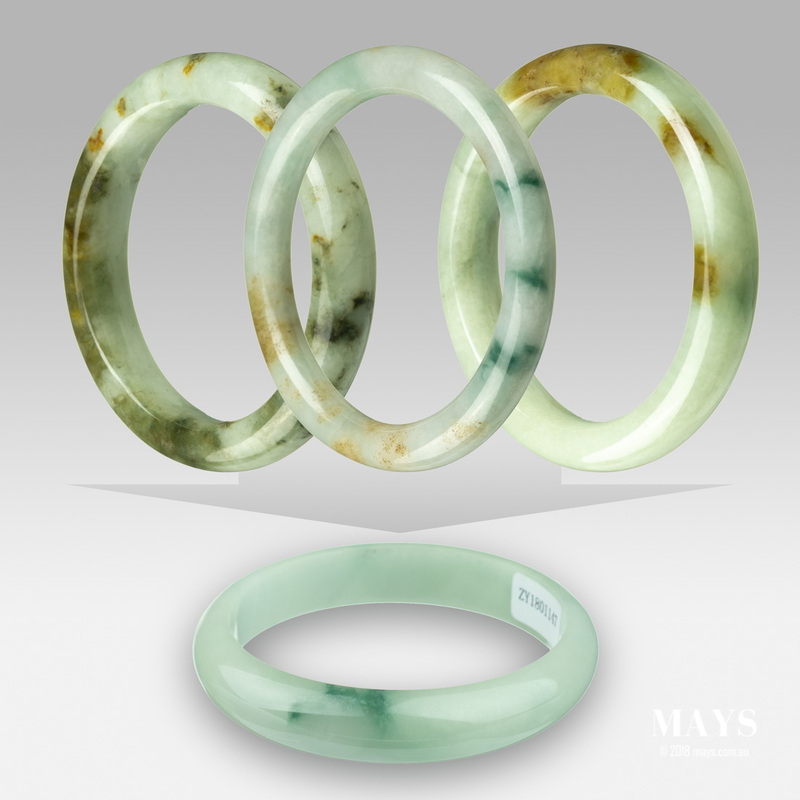 Lower quality Jade Bangles that contains high amounts of brown or dark inclusions caused by oxidised iron and other mineral inclusions. These bangles usually have large amounts of surface reaching fractures with iron staining. Figure 4. Before and after chemical bleaching treatment example. Brown stains and unwanted dark inclusions have been removed and fractures hidden by the impregnated polymer. The goal of the treatment is to remove the undesirable brown coloration and hide flaws. It starts off with the bleaching; Preformed Jade Bangles to be treated are placed in a bath with highly concentrated hydrochloric acid or nitric acid for few hours to weeks depending on the porosity and severity of the inclusions. Some treaters heat the bath and place it under pressure to intensify the corrosion process. After the bleaching process, all the brown discoloration have turned white to pale green and stained fractures are not as apparent. They are then placed in caustic soda bath to neutralise the strong acid. Now the bangles are ready to be injected with a polymer of similar refractive index to Jadeite. Dyes can also be mixed with the polymer at this stage. The process is complete after a final polish. The appearance of a Treated Jadeite Bracelet is that of a high quality Type A Jade. They are pale green to white in colour with excellent translucency and lack in flaws. The bleaching has removed most or all of the undesirable colours and revealing fractures while the impregnated polymers hide surface flaws and internal voids resulting in an improvement in translucency. Figure 5. Typical appearance of a Type B treated Burmese Jade Bangle Bracelet. Heavy corrosion caused by the chemical bleaching leaves large voids where the inclusions has been eaten away. This affects the structural integrity of the Jade Bracelet. In some cases, the bleaching is so severe that the Treated Jade Bracelet can crumble with pressure from the fingers alone. The impregnation of polymers to fill these voids helps stabilise the structure but the overall durability of a Treated (B) Jade Bangle is still considered brittle. Furthermore, the impregnated polymer is subject to degradation. As time passes, the once hidden voids, cavities, fractures and surface pits will become apparent. Extra care is required for Bangles treated with this method to maintain its original condition. Refer to this guide on how to care for your Jade Bangles. Figure 6. Voids left behind from chemical bleaching filled by polymer evident as whitish clouds. Only apparent after the polymer has started degradation like in this bangle. 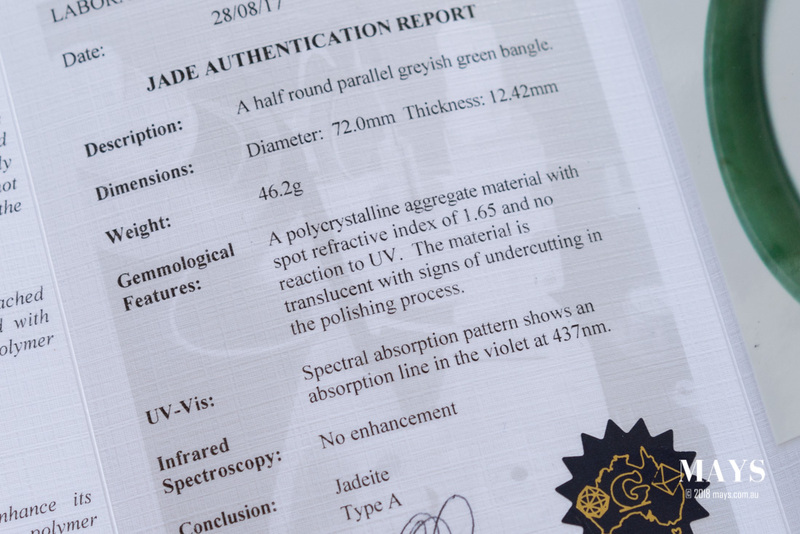 Positive identification of a polymer impregnated Jade Bangle requires advance instrumentation such as a FTIR (Fourier-transform infrared spectroscopy) machine only available in specialised gemmological laboratories. There are however other methods that an experienced gemmologist would use to give indications of a Treated Jade Bangle. For more information refer to this article on How to identify Treated Jade Bangle Bracelets. Type B Treated Jade Bracelets has little value and it’s worth only a small fraction (5-10%) of an equivalent Type A natural counterpart. Treated Jade Bangles will not last the test of time. Once the polymer inside starts to deteriorate, its once pretty appearance will be left with ugly void and fractures. Hence, referring to the graph below, over time, treated jade bangles will be worthless. They are not suitable as an investment or heirlooms. Figure 7. 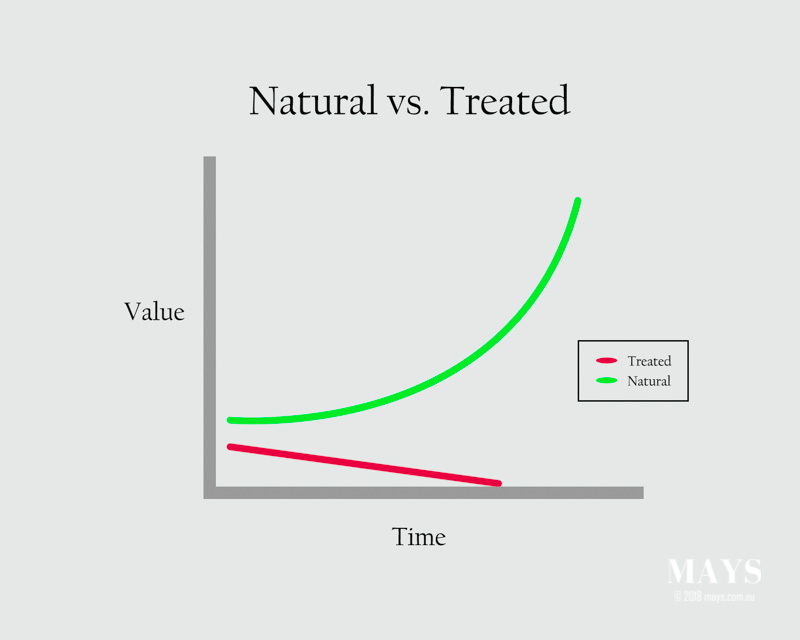 A graph showing the value over time of Type A Natural Jade Bangles compared to treated type Jade Bangles. This type of Jade Bangle is dyed to improve its colour. 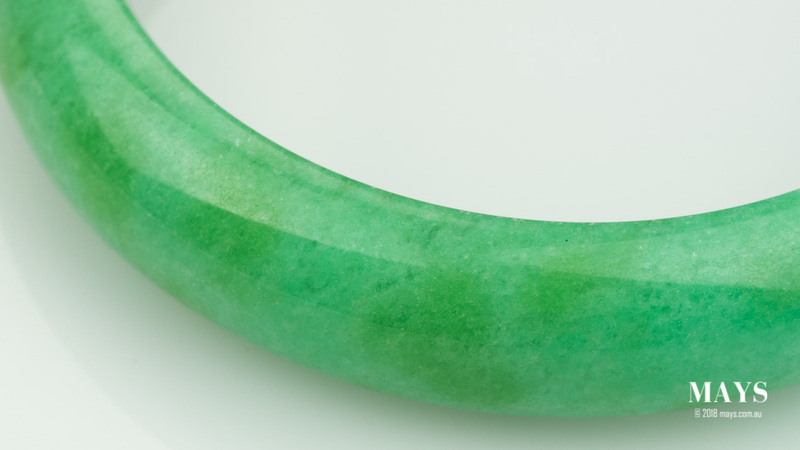 Jadeite is a porous mineral, the minute gaps and holes in between its interlocking crystal grain structure allows it to receive organic dyes well. It’s an unacceptable treatment and must be disclosed to consumers. White or light coloured Jade Bangles of opaque to translucent transparency are used to enhance their colour. Figure 8.1. Workers at a Jade treatment factory in Myanmar. Figure 8.2. Concentration of green colour can be seen where the green dye has been painted on. Grade C Jade Bangles are not subjected to chemical bleaching therefore the structural integrity remains intact. However, the treatment itself is not stable and will not last the test of time. Special attention and care must be given to maintain its vibrant colours as describe in How to care for your Jade Bangle article. Dyed Jade Bangles will look exceptionally uniform in colour throughout. They are usually dyed to an apple green colour or lavender but there are also bangles that have been dyed to red or yellow colour. Painted dyed patterns may have a unnatural look and the distribution of colour may look uneven. Figure 9.1. 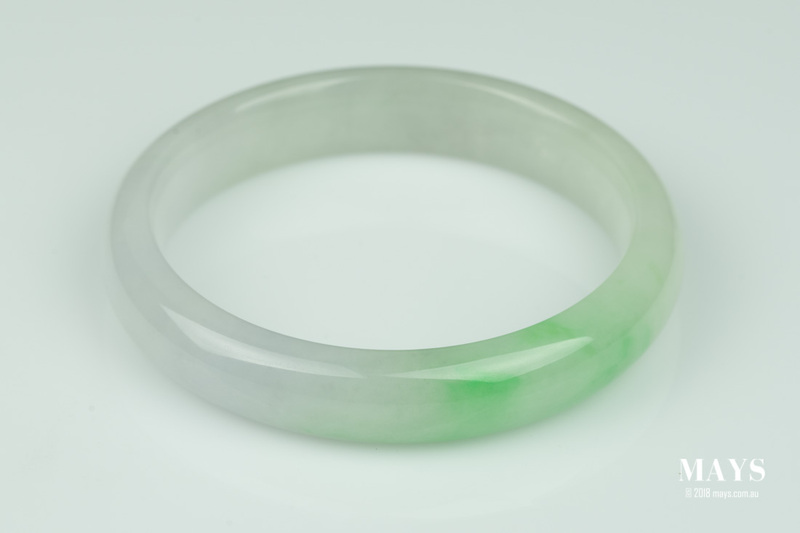 Uneven distribution of green colour seen on this Type C Dyed Jade Bangle. Figure 9.2. Recently dyed jade bangles seen stacked even in the middle. On the right are untreated bangles about to be dyed. Notice the difference in saturation. Apart from the obvious visual indicators, a suspected dyed jade bangle can be examined under UV luminescence or a Chelsea filter. Some dyes may be detected with a reaction of either of these testes. A positive confirmation requires the use of advance instrumentation to detect the dyes much like Type B Jade. Dyed Jade Bangles have a low value they are worth between $10-$50. Like any other treated Jade Bangle, these will not last the test of time and will lose the once vibrant colours, making them worthless over time. They are not suitable as an investment or heirlooms. Just as a title indicates, Type B + C Jade Bangle Bracelets are treated using a combinations of the two methods above. They are first bleached, dyed and then injected with a polymer to enhance the translucency and colour. The resultant bracelet one that has a appearance of a high quality Jadeite. It’s translucent with the most desirable colours and without any flaws. Figure 10. Degrading dyed polymer in a B + C Jade Bangle. This type of Jadeite treatment doesn’t not apply to Jade Bangles but more so in the jade cabochons or faceted pieces. These are composites gemstones where Natural Jadeite has been glued onto another material such as glass or plastic. They are rare in the industry and the term itself is hardly used. Jadeite Jade being a valuable and highly sought after gemstone attracts many methods to deceive consumers into buying an inferior product that only appears to be superior. 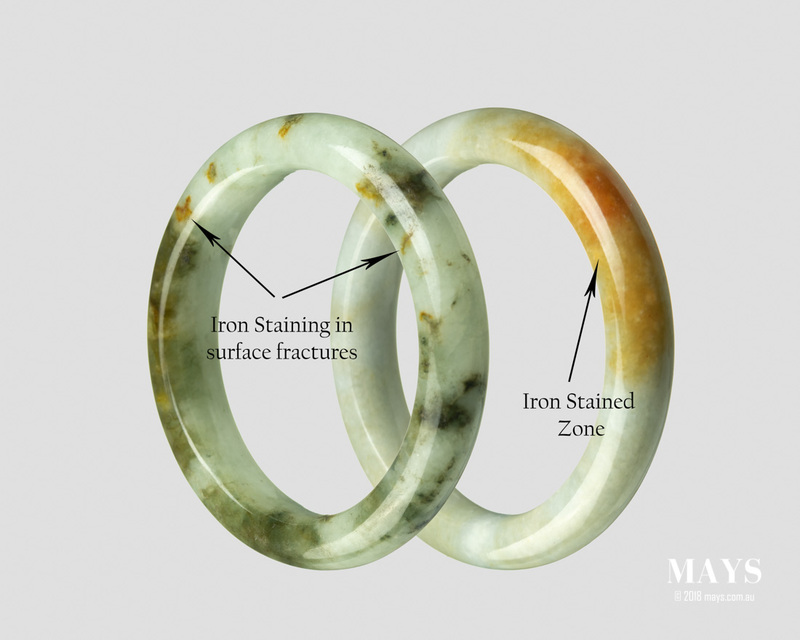 By examining the processes of these treatments and the materials used, we can begin to understand that these treated Jade Bangles are not what they appear to be. The treatments are temporary and will deteriorate over time. Consumers must be vigilant in the identification of these treatments with the difference in price that can be astronomical. Disclosure of treatment is required by law but not always followed through. Even then, the sellers themselves might not have sufficient knowledge on the subject to be able to disclose any treatments. Buying a Natural Jade Bangle will last forever while a treated one would last a few years. Never shared before facts that sellers want to keep away from you. This guide will help you in buying authentic jade. 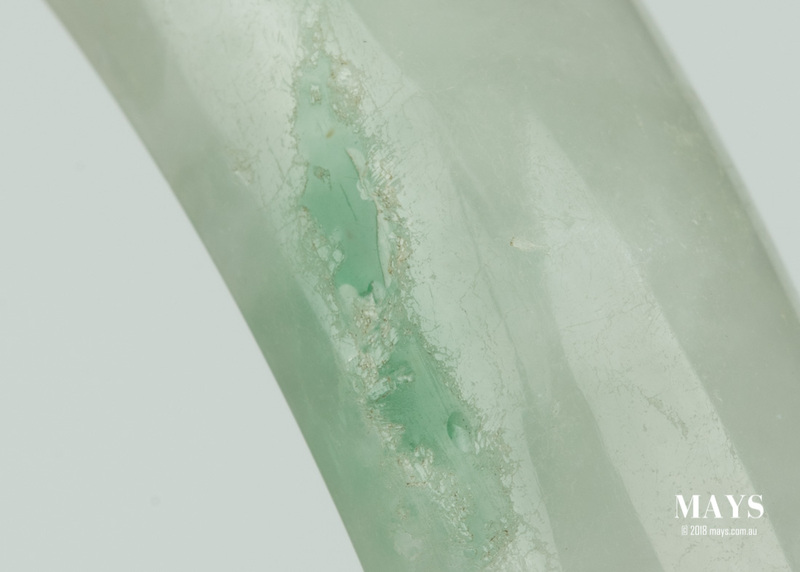 A comprehensive guide to Burmese Jadeite Jade Bangles. Some care and caution is required went it comes to handling and cleaning jade bangles. 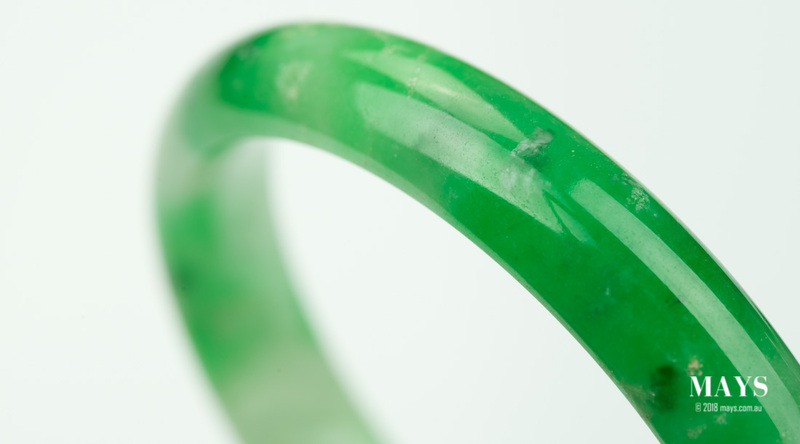 Read this guide to maintain the best possible appearance for your jade bangle. A recent visit to the treatment factory in Burma reveals how Jade bangles are being treated in Myanmar. 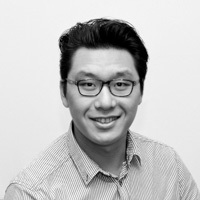 Wai was born and raised in Yangon, Myanmar (Burma). Trained by the Gemmological Association of Australia, he is a qualified Gemmologist. Throughout his life, he has been in constant contact with gemstones and jewellery through the family business and has been fascinated by the beauty and rarity of them all. He is now operating a branch of the business in Australia, supplying all kinds of gemstones especially of Burmese origin to international markets.